With a decalcification system type IWKC you are making the right choice. 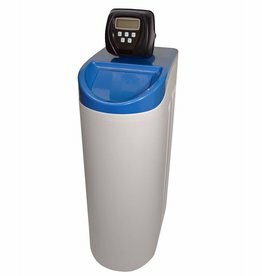 The water softener consists of a robust cabinet container, in which a GFRP pressure tank is located. The pressure tank is filled with the cation exchanger for water softening. 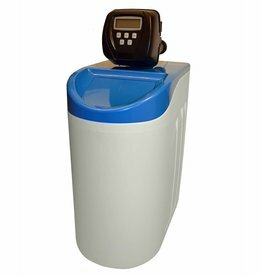 The water softener requires brine in order to conduct the regeneration. For this purpose, fill the cabinet container regularly with salt tablets. 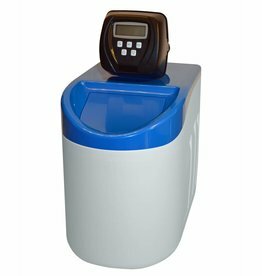 Except for the salt tablets, there are no running costs for the operation of the water softener. Which Control Valve is installed in the Water Softener? The descaling plant is delivered with a high-quality control valve of the company CLACK, namely of the type WS1CI. The actuator offers different programs for the triggering of the regeneration. Like this, the regeneration can be triggered by volume, time or manually. The programming is together with our programming manual very simple. 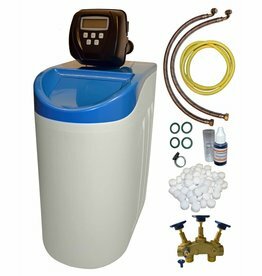 Nonetheless, all our water softeners are delivered pre-programmed. How Do I Adjust the Blending Hardness? The control valve has an adjusting screw with which you can adjust the blending hardness. During blending treated water is mixed with raw water. 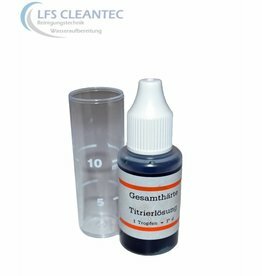 You can enter the blending hardness into the program of the actuator, which calculates from the blending hardness and the raw water hardness automatically the maximum capacity of your device. 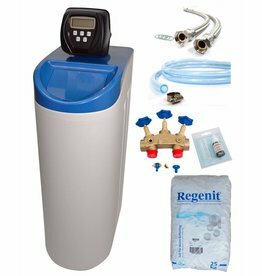 Benefits and Function of Water Softening!